Nationality: American. Born: Kingston, New York, 30 July 1939. Education: Collegiate School, New York; studied acting at Stella Adler's Theatre Studio. Family: Married 1) Polly Platt, 1962 (divorced 1970), two daughters; 2) Cybill Shepherd; 3) Louise Stratten (Hoogstraten), 1988, sister of murdered former lover Dorothy Stratten. Career: Actor in American and New York Shakespeare Festivals, 1956–58; first play as producer, The Big Knife , off-Broadway, 1959; film critic for Esquire, New York Times , and Cahiers du Cinéma , among others, from 1961; moved to Hollywood, 1964; 2nd unit director on The Wild Angels (Corman), 1966; directed first film, Targets (produced by Corman), 1968; Paramount formed and financed The Directors Company, independent unit partnership of Bogdanovich, Francis Ford Coppola, and William Friedkin, 1973; formed Copa de Oro production company, 1975; owner, Crescent Moon Productions, Inc., from 1986. Awards: New York Film Critics Award and British Academy Award for Best Screenplay, for The Last Picture Show , 1971; Writer's Guild of America Award for Best Screenplay, for What's up, Doc? , 1972; Critics Prize, Venice Festival, for Saint Jack , 1979. Address: c/o William Peiffer, 2040 Avenue of the Stars, Century City, CA 90067, U.S.A. The Cinema of Orson Welles , New York, 1961. The Cinema of Howard Hawks , New York, 1962. The Cinema of Alfred Hitchcock , New York, 1963. Fritz Lang in America , New York, 1967; revised edition, 1981. John Ford , Berkeley, California, 1968; revised edition, 1978. Alan Dwan: The Last Pioneer , New York, 1971; revised edition, 1981. Pieces of Time , New York, 1973; revised, as Pieces of Time: Peter Bogdanovich on the Movies 1961–85 , New York, 1985. The Killing of the Unicorn: Dorothy Stratten (1960–1980) , New York, 1984. This Is Orson Welles , New York, 1992.
Who the Devil Made It: Conversations with Legendary Film Directors , Ballantine, 1998. Peter Bogdanovich's Movie of the Week: 52 Classic Films for One Full Year , Ballantine, 1999. The Best American Movie Writing 1999, edited by Peter Bogdanovich and Jason Shinder, Griffin Trade Paperback, 1999. "Bogie in Excelsis," in Esquire (New York), September 1964. "Go-Go and Hurry: It's Later than You Think," in Esquire (New York), February 1965. "Th' Respawnsibility of Bein' J . . . Jimmy Stewart. Gosh!," in Esquire (New York), July 1966. "Godard in Hollywood," in Take One (Montreal), June 1968.
" Targets ," in Sight and Sound (London), Winter 1969/70. "Inter/View with Peter Bogdanovich," with G. O'Brien and R. Feiden, in Inter/View (New York), March 1972. "Without a Dinosaur," interview with Gordon Gow, in Films and Filming (London), June 1972. "Peter Bogdanovich on Paper Moon ," interview with D. Lyons and others, in Interview (New York), July 1973. "Cybill and Peter," interview with Andy Warhol and others, in Inter/ View (New York), June 1974. "Polly Platt: Sets the Style," interview with M. McAndrew, in Cinema (Beverly Hills), no. 35, 1976. "Dialogue on Film: Peter Bogdanovich," in American Film (Washington, D.C.), December/January 1978/79. Interview with Thomas J. Harris, in Literature/Film Quarterly (Salisbury, Maryland), vol. 16, no. 4, 1988. Interview with P. Kremski, in Filmbulletin (Winterthur), vol. 37, no. 1, 1995. Sherman, Eric, and Martin Rubin, The Director's Event , New York, 1970. Giacci, V., Bogdanovich , Florence, 1975. Harris, Thomas J., Bogdanovich's Picture Shows , Metuchen, New Jersey, 1990. Yule, Andrew, Picture Shows: The Life and Films of Peter Bogdanovich , New York, 1992. Patterson, R., " Directed by John Ford : Producing a Compilation Documentary," in American Cinematographer (Los Angeles), November 1971. Rainer, P., "Bogged Down: A Twitch in the Auteur Niche," in Film Critic (New York), September/October 1972. Kasindorf, Martin, "Peter Bogdanovich," in Action (Los Angeles), July/August 1973. Starr, Cecile, "Peter Bogdanovich Remembered and Assessed," in Filmmakers Newsletter (Ward Hill, Massachusetts), September 1973. Dawson, Jan, "The Continental Divide," in Sight and Sound (London), Winter 1973/74. Fieschi, J., "Dossier Hollywood '79: Peter Bogdanovich," in Cinématographe (Paris), March 1979. Buckley, T., "How Bogdanovich Learned to Think Small Again," in New York Times , 20 April 1979. Le Fanu, Mark, "Peter Bogdanovich," in Films and Filming (London), August 1984.
de Waal, F., "In Memoriam Peter Bogdanovich," in Skoop (Amsterdam), May 1985. "Dialogue on Film: Peter Bogdanovich," in American Film (Washington, D.C.), June 1986. Harrison, B. G., "Peter Bogdanovich Comes Back from the Dead," in Esquire , August 1990. 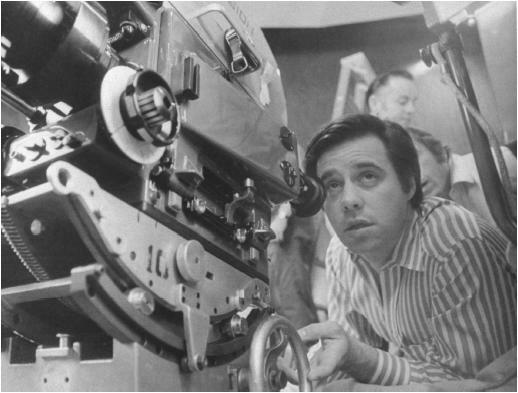 "Peter Bogdanovich," in CinemAction! (Toronto), January 1992. Schwager, J., "The Trick of It," in Boxoffice (Chicago), January 1992. McKibbins, A., "Bogdanovich Looks at the Past through the Present," in Filmnews , vol. 22, no. 3, 1992. White, A., "Directed by Peter Bogdanovich," in Film Comment , March/April 1993. Gariazzo, G., "Bogdanovich inedito," in Cineforum (Bergamo), September 1994. Birman, B., "Interpreting Henry James: Bogdanovich's Daisy Miller," in Literature/Film Quarterly (Salisbury), October 1994. Atkinson, A., "Armed (with Camera) & Dangerous," in Movieline (Escondido), August 1995. Of all trades ancillary to the cinema, few offer worse preparation for a directing career than criticism. Bogdanovich's background as Hollywood historian and profiler of its legendary figures inevitably invited comparisons between his movies and those of directors like Ford, Hawks, and Dwan, whom he had deified. That he should have occasionally created films which deserve such comparison argues for his skill and resilience. He first attracted attention with Targets , a flashy exercise with an ailing Karloff playing straight man to Bogdanovich's film-buff director and a psychotic sniper menacing the audience at a drive-in cinema. The documentary Directed by John Ford likewise exploited Hollywood history, but with uncertain scholarship and even less certain taste. Yet in his first major fiction feature, based on Larry McMurtry's rural nocturne The Last Picture Show , Bogdanovich created a precise and moving chronicle of small-town values eroded by selfishness and disloyalty. He also showed a flair for casting in his choice of underrated veterans and fresh newcomers. Ben Johnson, Cloris Leachman, and Ellen Burstyn earned new respect, while Timothy Bottoms, Jeff Bridges, and Cybill Shepherd received boosts to nascent careers—though Shepherd, via her relationship with the director, was to prove a troublesome protegée. What's up, Doc? and Paper Moon are among the shapeliest comedies of the 1970s, trading on nostalgia but undercutting it with sly character-playing and dead-pan wit. Ryan and Tatum O'Neal achieve a stylish ensemble performance in the latter as 1930s conman and unwanted orphan auxiliary; in the former, O'Neal makes a creditable attempt at playing Cary Grant to Barbra Streisand's Hepburn, backed up by a typically rich character cast—notably Austin Pendleton, Kenneth Mars, and the ululating Madeline Kahn. Daisy Miller , a period vehicle for Shepherd more redolent of Henry King than Henry James, inaugurated Bogdanovich's decline. An attempt at a 1930s Cole Porter musical, At Long Last Love likewise flopped, as did Nickelodeon , an unexpectedly leaden tribute to pioneer moviemaking. He returned to form with a low-budget adaptation of Paul Theroux's Saint Jack , dignified by Ben Gazzara's performance as the ironic man of honor coping with Occidental venality and Asian corruption. And the Manhattan comedy They All Laughed , though widely disliked, showed a truer synthesis of screwball humour and sentimentality than other equivalent films, and marked a return by Bogdanovich to the spirit of the classical directors he admires. Bogdanovich worked little in the 1980s, apparently traumatised by the murder of his lover Dorothy Stratten shortly after her acting debut in They All Laughed. At decade's end, in a twin return to his roots that offered some hope for his future, he married Stratten's sister and directed Texasville , a Last Picture Show sequel with many of the original cast. Texasville , like most sequels, fails because what made the original interesting and valuable cannot be repeated. Like Bogdanovich himself, then at the beginning of his career, the characters in The Last Picture Show were embarked, with tragi-comic results, on the painful journey into adulthood; the loss of childhood certainties was mirrored by the film's detailed mise-en-scène, a small Texas town that loses its heart and soul when a benevolent patriarch dies suddenly. Grown up, they are no longer connected by the irresistible force of adolescence, and Bogdanovich's film—though based on novelist Larry McMurtry's often poignant continuation—wanders in search of a plot, boring the spectator with childish antics meant to signify the onset of a collective life crisis. The story goes on, but without much interest or direction. Much the same might be said of his career in the 1990s, which has continued but not prospered. The Thing Called Love tries to recapture Bogdanovich's earlier success with coming-of-age stories (not only The Last Picture Show but also Paper Moon ). However, this overly predictable and slow-moving saga of young adults trying to make it big in the highly competitive world of country music deservedly failed to find much of an audience. Noises Off , based on Michael Frayn's hugely successful play, has moments that recall Bogdanovich's earlier success with fast-paced farce (the delightful What's up, Doc? ), but lacks a firm sense of directorial control; a fine cast—including Michael Caine and Carol Burnett—never becomes an effective ensemble, and the film's only virtues derive from Frayn's play, whose commercial productions are far superior to this screen version.